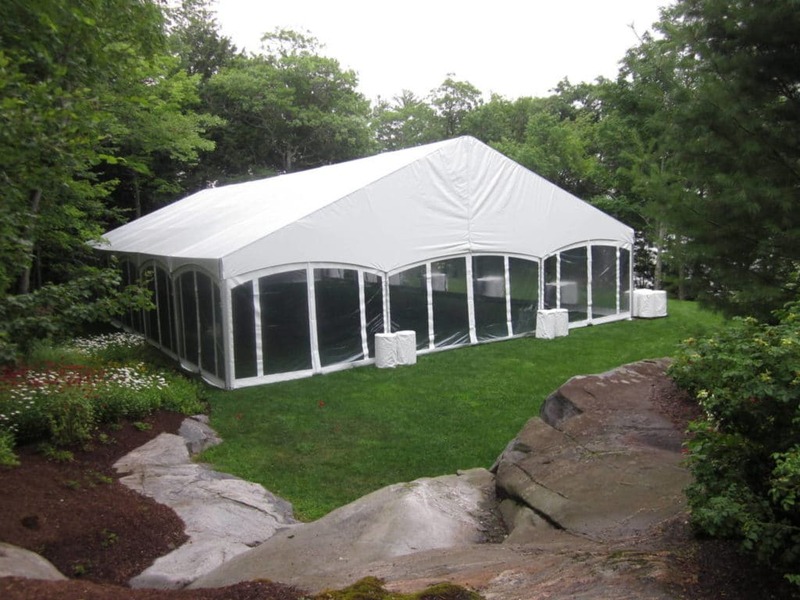 To help a couple celebrate their 25th wedding anniversary at their gorgeous cottage in Muskoka, Regal installed a 50′ x 80′ Legacy Tent. The field was all rock underneath the grass so staking wasn’t an option. Regal pumped water directly out of Lake Joseph to fill the water barrels that held the tent down. 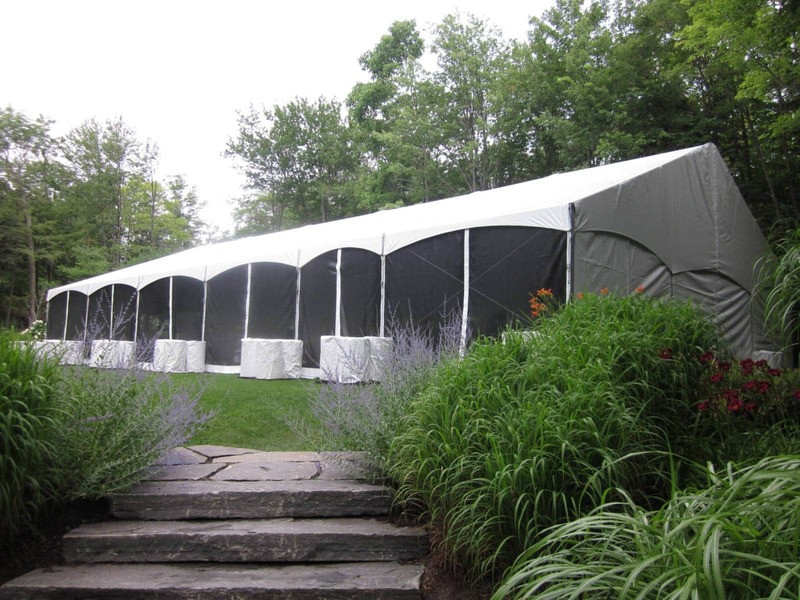 The tent had customized bug screens to keep the mosquitos out at night. 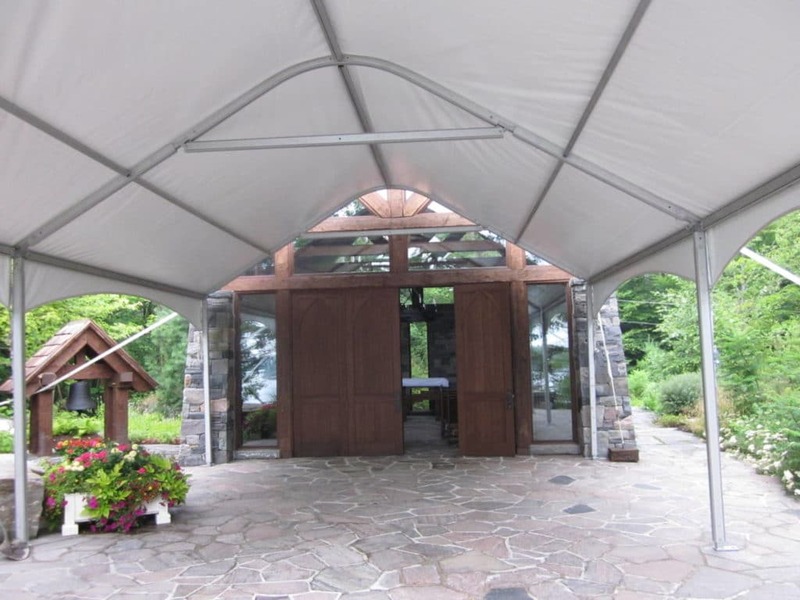 A smaller legacy tent was installed by the existing chapel on the property to keep the guests out of the sun as the couple renewed their vows.